Chocolate dairy beverage? Grated dairy product? Frozen dessert? 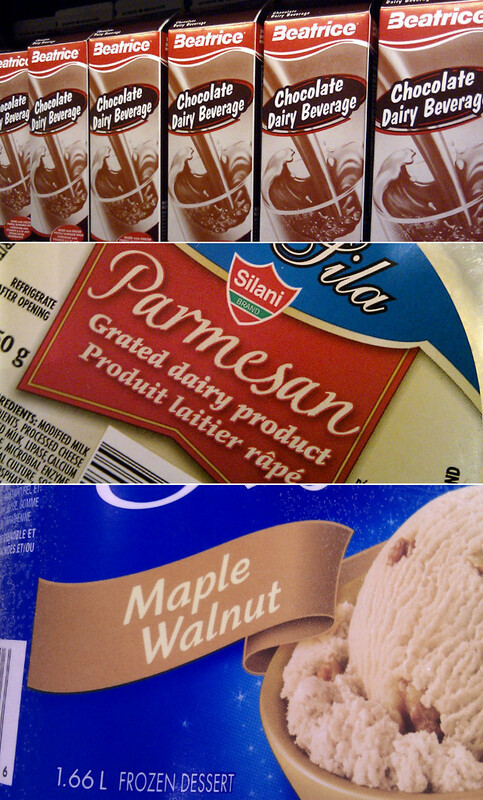 Isn’t anything made with milk, cheese, or cream any more? I hate to sound like a grouchy old man (though I’m rapidly becoming one), but when I was a kid, these things were called chocolate milk, grated cheese, and ice cream. 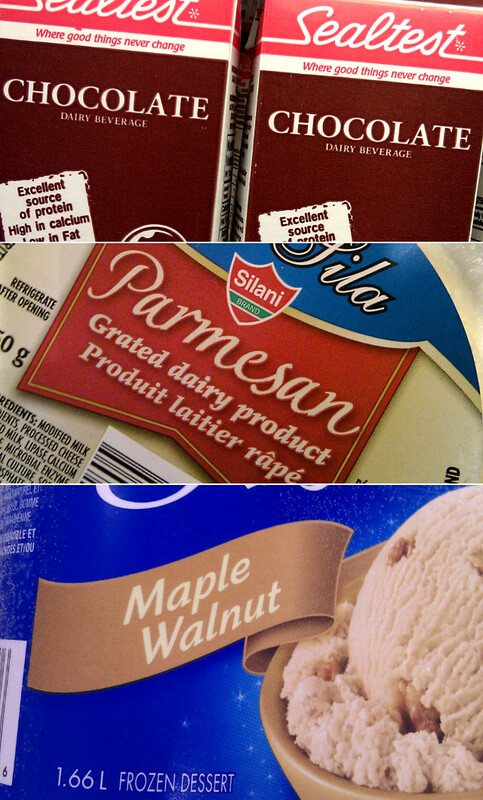 Instead, more and more items in the dairy case have “modified milk ingredients” at the top of the ingredients list. It makes me wonder where all of the real dairy products go. Of course, these products are not exactly new, having been around in one form or another for a few years. They are clearly part of the accelerating trend in the grocery store to pass off fake food as the real thing. I didn’t buy either the dairy beverage or the frozen dessert, so I can’t review their taste. But I didn’t notice that the “grated dairy product” wasn’t actual cheese until I got home, so I can review that: it was so salty that it was inedible. Other than the texture, a dash of Silani grated dairy product on some pasta was basically indistinguishable from emptying a box of salt onto the plate. Even the Loblaws No Name Parmesan is superior. The text in the red circle says that it’s made with real milk “and added dairy ingredients.” It sounds about as appetizing as eating a burger made from beef and added cow ingredients. 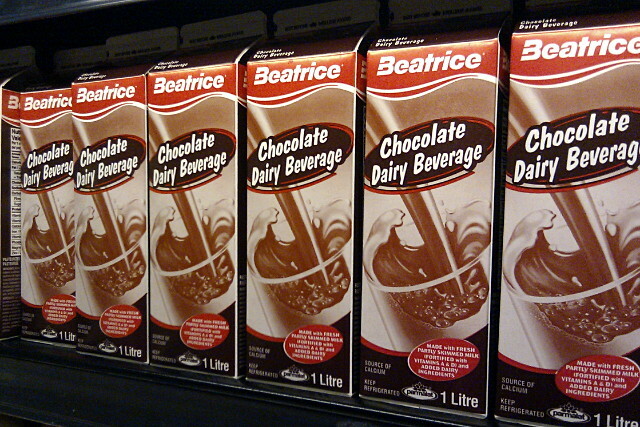 Beatrice may have learned its lesson after a few years of trying to sell this stuff and returned to selling chocolate milk again earlier this year.